While Spotify remains primarily a streaming music service, the apps and web portals have become more and more capable as the company continually tweaks them. That looks to continue as Spotify has acquired Sonalytic, a tech firm dedicated to audio and music recognition systems. The terms of the acquisition weren't disclosed in the short announcement post on Spotify's blog, but the company did say that Sonalytic's expertise would be used for "improving Spotify’s personalized playlists, matching songs with compositions, [and] improve our publishing data system." Sonalytic, Inc. is currently based out of London, according to its website. The small company doesn't apparently offer any of its technology as consumer-facing products, instead focusing on more general business-to-business applications. 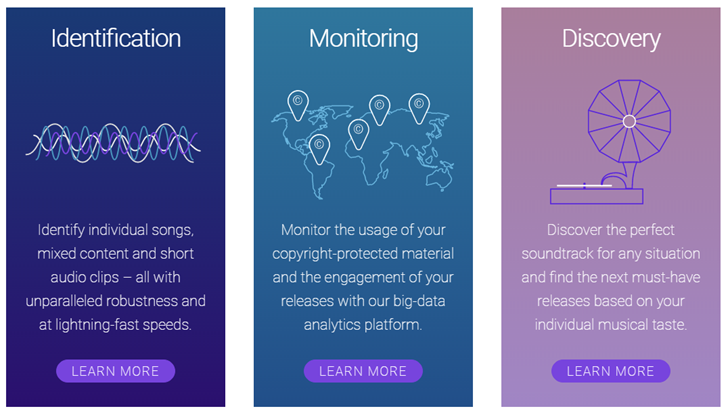 These include "lightning-fast" identification of songs and sound clips, copyright monitoring (like the flags that pop up when you try to put a top 40 song on YouTube), and musical discovery algorithms. That last one is the "special sauce" that makes your auto-generated streaming music playlist interesting... or not, as the case may be. The applications for Spotify's backend are fairly obvious. The service already covers most of those bases, so something in Sonalytic's demonstration (which it's still offering to potential business clients as of today) must have wowed them. It's not clear whether or not Sonalytic will be allowed to continue to market its services to other companies, but given the firm's small size and Spotify's generally bullish corporate culture, I would guess that's not on the table.